Boxing simulation's release is left in the hands of Twitch commenters. Pre-purchasers get angry. [Updated, 7:22pm EST] Twitch is already 50 percent through Punch Club. That was quick. It looks like indie publisher Tinybuild is experimenting with our connected digital future. 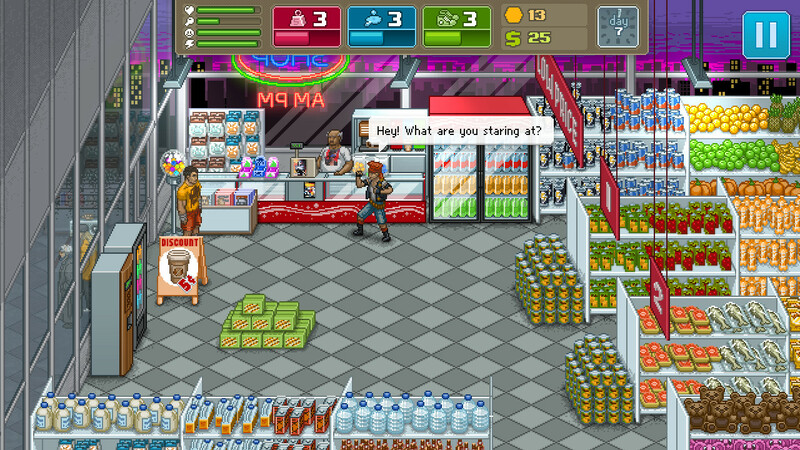 TinyBuild has been pushing Lazy Bear Games' Punch Club since E3 2015. 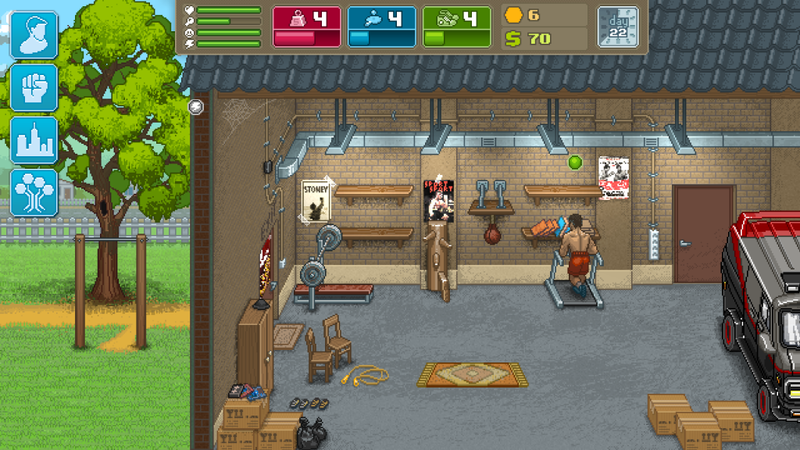 The game is sim, where you train a boxer who's searching for his father's killer. You set up his home and gym, pick his fights, train up new skills, and hope your boxer ultimately wins. TinyBuild is also touting the fact that the game is one of the first indie title you can pre-purchase on Steam. Here's where things get odd. Today, TinyBuild launched Twitch Plays Punch Club. Like other "Twitch Play" games, viewers can use hashtag commands to collectively decide what actions the game takes. It tends to take a bit longer than a normal playthrough because half of the players are trying to succeed, while the rest are actively trying to fail. But once completed, there's a grand sense of collective elation. The Twitch Plays phenomenon started with Twitch Plays Pokemon, a channel that started with a playthrough of Pokemon Red and has since gone on to beat Crystal, Emerald, FireRed, Platinum, HeartGold, Black, Black 2, and X. A separate channel even used the same setup to beat Dark Souls. "Of course, it might all go horribly wrong. What if Twitch users don't work well together? What if they don't train hard enough? What if they don't punch enough ninja crocodiles in the face?" said the publisher in a blog post. "Maybe we'll just never get to launch the game. That would be a bummer, but hey, we're willing to take that risk. For science." Of course, embracing two different digital services came into conflict. See, Punch Club is one of the first games to allow for pre-purchase on Steam, so people who were interested in the game pre-ordered it. Those folks weren't happy to hear that the game might never be unlocked, depending on how Twitch played. TinyBuild had to walk back their idea of never launching the game if Twitch never beat the game. Instead, Punch Club will be coming out on January 25 regardless of it Twitch beats the game. Some fans are still unhappy with what they perceive as a delay, but it's a good middle ground for TinyBuild. The problem here really came from a grand idea and a lack of communication. If TinyBuild had ran with the idea of January 25 as the launch date and Twitch Plays Punch Club as a way for the game to launch early, I doubt there would been a problem. Sadly, the perception is that today was the launch date and every day Twitch fails to unlock the game is an unforgivable delay. It's an interesting idea, one I expect to see in some fashion from other publishers, but the execution was more miss than hit this time around. But that's what you'll run across when you take chances and experiment, right? Do you think TinyBuild had the right idea or was this endeavor doomed to fail? Let us know in the comments! Tagged with News,	TinyBuild,	Twitch.